Want to have an epic dance party? The Engine Room in Monroe is one of the very best wedding venues in North Georgia. It is located in between Athens and Atlanta. The venue is easy to get to from anywhere. The engine room accommodates over 250 guests without compromising it’s unique charm. The event staff is quick, efficient, and professional. They are able to flip ceremony spaces with ease, cater to your unique vision, and make sure you feel important. Attached to the main venue space is an outdoor courtyard. It is perfect for cocktail hours or outdoor games. Many times, hosts will utilize the courtyard during room flips. Downstairs is a dedicated space for the bride and bridal party to get ready and relax in between pictures and before the ceremony. Outside, near the courtyard, is a dedicated building for the groom and groomsmen. Inside there is a TV complete with video games! 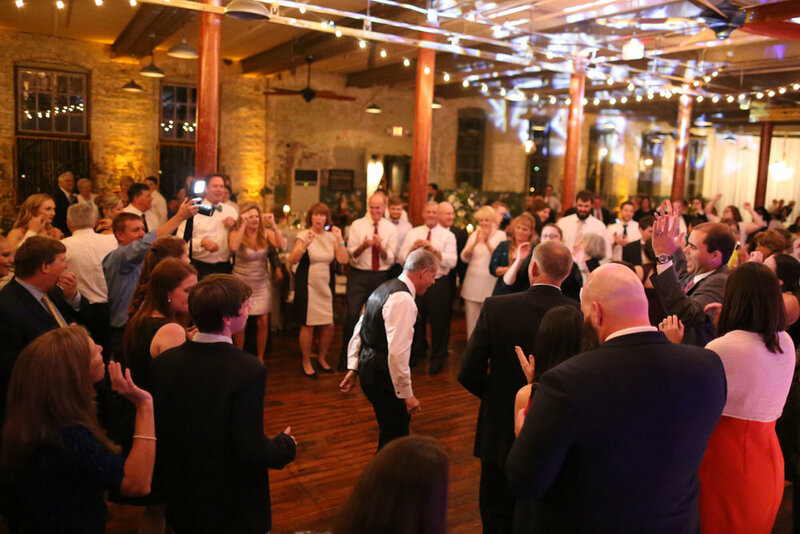 Watch Highlights from Engine Room Weddings!